Maybe it’s your first time visiting Rome or maybe you just can’t get enough of it. 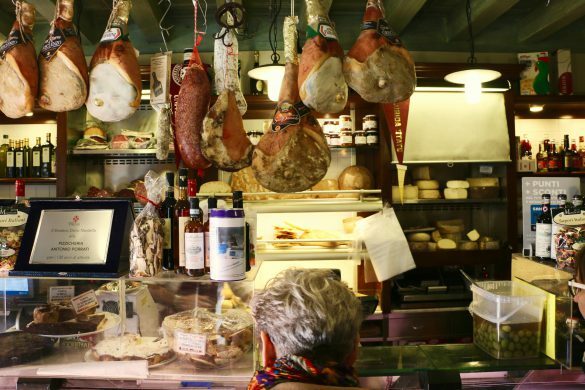 Italy’s capital city is a haven for foodies. With an abundance of places to eat and drink in Rome, there’s always another place to try out. 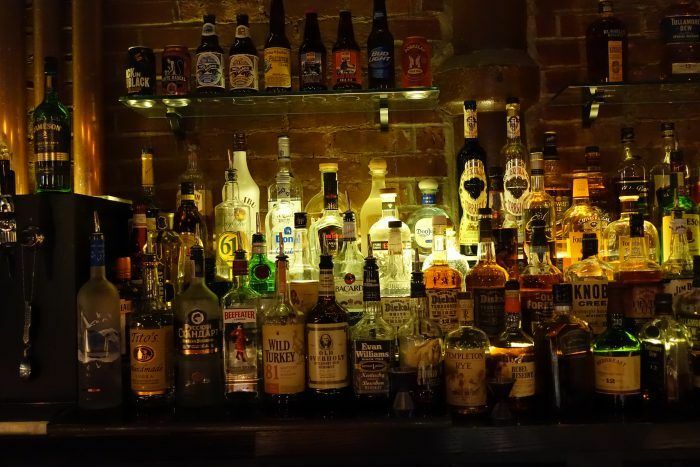 So sit back and relax while we show you where you can have a drink (and nosh) like a local. Because when in Rome, do as the Romans do! 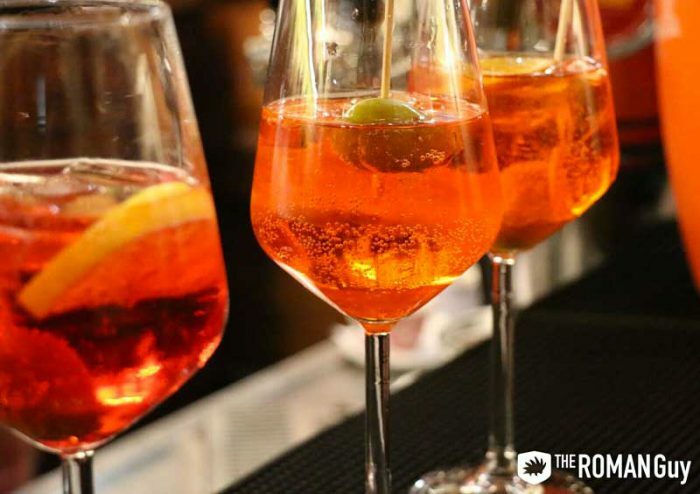 But don’t choose blindly, we’ve compiled this list of the best bars in Rome. From rooftop bars to enotecas to cocktail bars, we have you covered. While you’re setting up your Rome itinerary and planning out where to stay in Rome, make sure you look over our impressive selection of Rome tours. Don’t miss out on the chance to skip the lines at the Colosseum and Vatican, eat the best local food and experience all the best things to do in Rome. Our first stop is the Piazza della Madonna dei Monti. Surprise! This isn’t actually a bar, but a small piazza where you can hang out and have a drink. Locals come here after work, grab a drink from one of the many bars nearby, then sit at the steps of the fountain to enjoy it. No matter when you come, this Rome piazza is always hopping. Plus, even if you’re not drinking, this is also a good place to sit and people watch with a gelato in hand. An open-air market in the morning, Campo de’ Fiori is one of the most popular places to meet friends and have aperitivo in the evening. Out of all the eateries and bars in the area, Taba Café gets our choice. With a cozy terrace with cool retro furniture, this is a terrific place to sit outside, people-watch and have a Spritz before going out to a proper Roman dinner. 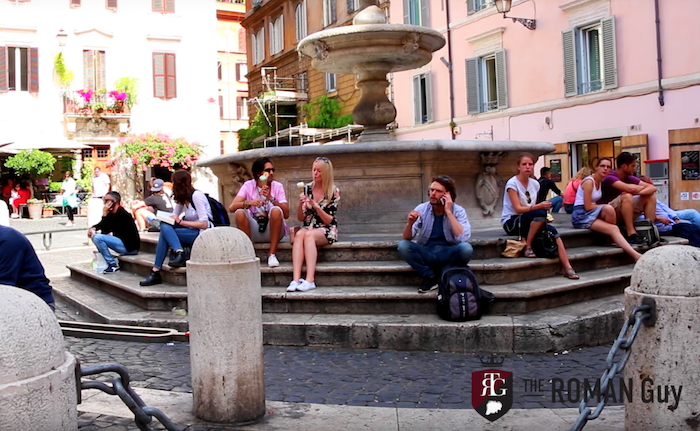 Our next stop is across the Tiber river in one of Rome’s best neighborhoods, Trastevere. A favorite among locals, this bohemian neighborhood is full of bars and cafés. However, our choice is Cave Canem. Boasting a nice selection of wine, consider the house red wine. For eats, try the tiramisu or one of the pasta dishes. And unlike many of the tourist trap restaurants in this area, the prices here are reasonable. 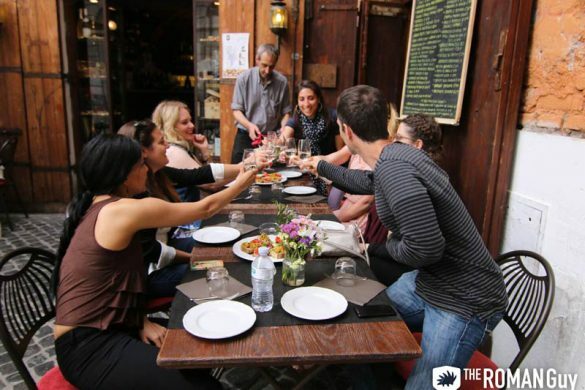 If you love this neighborhood as much as we do, consider going on our best-selling Trastevere food tour. Just across the street from our previous stop is Cajo & Gajo. It doesn’t matter if you sit inside or outside, the stylish atmosphere at Cajo & Gajo makes this place one of our top picks for a night out in Trastevere, Rome. Despite that, it’s often busy and you may have to wait a few minutes to get a table, especially in the terrace, believe us when we say the food and drinks are worth the wait. A hidden gem in the Monti district, the Domus Romana Hotel has a lovely outside bar. The perfect spot to enjoy aperitivo, a variety of cocktails here are served for only 5€ each. Now, that’s a steal! If shopping in Rome is on your travel itinerary, the Hotel Domus Romana is only minutes away from the best shopping in Rome. It’s also only a short walk to the Colosseum, Spanish Steps, Trevi Fountain, Pantheon, and Piazza Navona. So, get your fashion fix, finish up your Roman Colosseum tour or finish wandering around the historic center of Rome, get yourself a tasty glass of vino or cocktail and take a load off. Finally, if you’re feeling a bit fancy, head to Madre Roma. An incredible cocktail bar in Monti, sit in its inside garden, decorated with waterfalls and order a Madre Sour and some gambas al ajillo to start off. In addition to perfect cocktails, this Monti Rome restaurant has a Michelin star, so make sure you get a reservation before coming here for dinner. Very close to Piazza Navona is the classic Bar del Fico. A bit hidden, its fun and relaxing vibes attract locals who like to enjoy their drinks on the terrace. And so, if you’ve spent the day doing all the typical things to do in Rome like Colosseum tours, seeing the Sistine Chapel and throwing coins in the Trevi Fountain, this is a nice antidote. 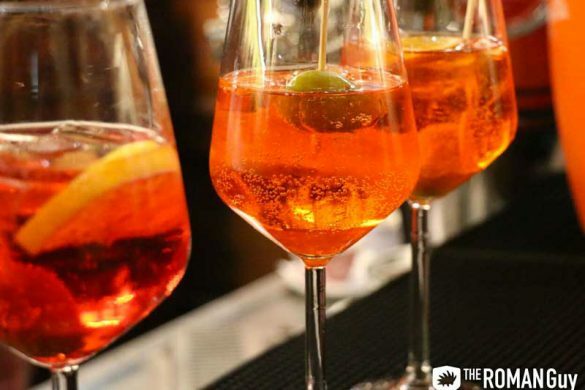 We recommend this trendy bar in Rome any time of the day or week for aperitivo or a cold beer. Bar del Fico is open late until 2 a.m. and so, it’s perfect for late-night cocktails as well as mid-day pit stops. Quite possibly the friendliest bartenders and restaurant owners in Prati, Rome. So close to Vatican City, yet removed from the crowds, Jet Lag 64 sits in the perfect location. Plus, it’s open all day long. So whether you want a quick sit-down after your Vatican tour or a late-night cocktail, this place works. Try visiting Jet Lag 64 at lunch or for aperitivo (they have a buffet-style aperitivo with a cocktail for just €10!). You can thank us later. While the other places on this list are high-quality, it would be a shame to not include any rooftop bars in Rome on this list. The Forty Seven Hotel’s rooftop bar is known for its outstanding views and delicious menu of Italian-Mediterranean food. We suggest the tiramisu and pasta dishes if you’re ordering food. If you’re just partaking in libations though, there’s nothing wrong with that. With a cocktail or glass of wine in hand, take in the views of the Roman Forum, Palantine Hill, Colosseum and Aventine Hill. If you want us to arrange the entertainment in Rome (and beyond! ), contact our Trip Planning Team to coordinate an unforgettable Italian experience. What is Happening with the Colosseum’s Top Tier?